For my Narrative Unit [with my Mason City High School sophomores], I had them first create a narrative ‘Day in the Life’ Comic, and then work on taking their comic and creating a short [1-2 paragraph] narrative story based on it. After the students created their short narrative, I lead them in a group discussion about introductions–how they can be attention-grabbing, how they set the stage for a piece of writing, and how they incorporate aspects of figurative language. Together with the students, I showed them some example introductions and had them evaluate the introductions. Today is Tuesday. I wake up early. I don’t want to be up. I look at stuff. I think about my day. I like Tuesdays, especially today, because I’m going to Cancun. I get out of bed and decide to get dressed, so I walk to my closet and pick out an outfit that I really like. What do we notice here? On this particular Tuesday, I woke up a quarter past six. It was fifteen minutes before my alarm went off, and I wanted nothing more than to just fall back asleep for a few minutes. As I lay there, I studied my ceiling. There were little glow-in-the-dark stars covering every surface. I was warm, wrapped tightly in my soft, checkered quilt. I thought about my day. Tuesdays are usually the same routine—a waffle with peanut butter for breakfast, work at 7am to 11am, classes, then practice. But today wasn’t a typical Tuesday. Today, I was leaving for the airport to head to Cancun. After laying in my bed for what seemed like three seconds, I got up and started getting dressed. I had already picked out my outfit—a cotton dress, blue, like over-ripened blueberries with a thin white sweater jacket and matching white shoes. After working on introductions, I had the students peer edit one another’s stories. Then plan, then, was to have the students revise their stories, working specifically from peer feedback and on their introductions. For the peer editing sheet, click here: Peer Editing Rubric. 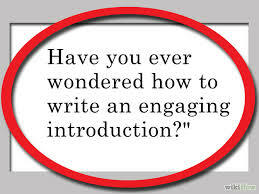 Here is the complete lesson plan on Developing Introductions.